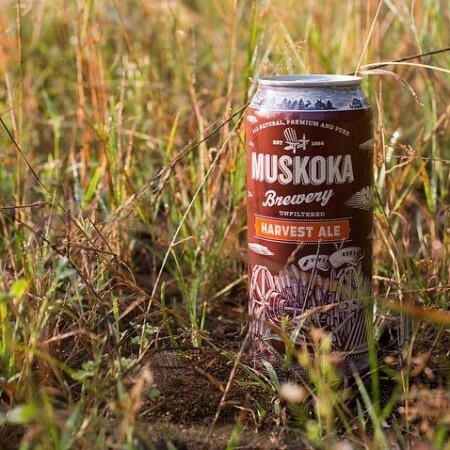 BRACEBRIDGE, ON – Muskoka Brewery has announced the release of this year’s edition of the fall seasonal Muskoka Harvest Ale, as well as several other seasonal brands and packages. Grassy notes, leading into stone fruits, ending in a slight dryness. Soft biscuit essence that transforms into mango, grapefruit and stone-fruit. Lingering bitterness, intertwined with a moderate rye spiciness. Muskoka Harvest Ale will be available in 473 ml cans at the brewery, LCBO and Beer Store locations, and select grocery stores in Ontario. Another mixed pack dubbed Venture Off the Beaten Pack, featuring bottles of Craft Lager, Detour, Cream Ale, and Mad Tom, will be available at the brewery and in select Beer Stores. And Shinnicked Stout, a coffee and oatmeal stout that debuted last autumn, is back for a second year. For more details, see the Muskoka Brewery website and Facebook page.